The federal government’s recent changes to the taxation of private corporations that limit access to the small-business deduction (SBD) tax rate on active business income when a corporation earns $50,000 or more of passive investment income aren’t likely to affect most of your clients. But the changes could affect some of your top clients. You can help these small-business and professional clients by offering them strategies to adjust to the new rules. Accumulating retained earnings within a private corporation can allow for a tax- deferral advantage. That’s because when the corporation initially earns the business income, that income is taxed at a lower rate than at the rate the individual would pay if he or she earns the income as an individual. If this corporate income is taxed at the lower SBD rate, which applies to the first $500,000 of active business income earned within a private corporation rather than at the higher, general corporate rate, the deferral advantage is even greater. When the income eventually is withdrawn from the corporation as a dividend, it’s taxed in the shareholder’s hands; but, until then, that income can be invested within the corporation on a pre-personal tax basis, creating an opportunity for greater growth. The federal government’s 2018 budget outlines new rules for corporations’ passive investment income in an effort to limit this tax-deferral advantage. When a corporation earns more than $50,000 of passive income in a year, the amount of active business income that’s eligible for the SBD rate in the following year is reduced gradually. Access to the SBD rate is ground down to zero at the $150,000 threshold of passive income and above. The new rules kick in for the 2019 taxation year and will be based on passive investment income earned in 2018. Ottawa states that the new regime governing the taxation of passive investment income would affect only 3% of private corporations. Aurèle Courcelles, assistant vice president, tax and estate planning, in Investors Group Inc.‘s advanced financial planning division in Winnipeg, agrees that only a small percentage of small-business owners will be affected, so only clients who are directly affected should be considering tax-planning options to address the changes. For those small-business clients who are affected by these rules, a primary planning option would be to rebalance the corporation’s investment portfolio to control what kind of income is generated – and when it’s realized. For example, a “buy and hold” strategy may allow the client to defer income to future years, as could a portfolio geared toward generating capital gains, which are taxed at half the rate of regular income, to help keep the corporation’s passive income below the $50,000 threshold. Another strategy is for the client to take enough of a salary to create RRSP contribution room, then make RRSP contributions and maximize TFSA contributions. “[The client] is taking cash out [of the corporation], thereby reducing the assets held in marketable securities and, hopefully the amount of passive income generated,” Golombek says. Yet another option is for the client to create an individual pension plan (IPP) – in effect, a defined-benefit plan created for one person, or for the person and his or her spouse. The corporation funds the IPP, receives a deduction and the income generated within the IPP doesn’t count toward corporate passive income. But IPPs can be costly and complex, says Tarsem Basraon, vice president, wealth advisory services, and a high net-worth planner with Toronto-Dominion Bank in Toronto. Finally, the client could have the corporation purchase a permanent life insurance policy that insures the life of the business owner or someone else. Income earned inside the life insurance policy will grow tax-free and not be included in passive income. 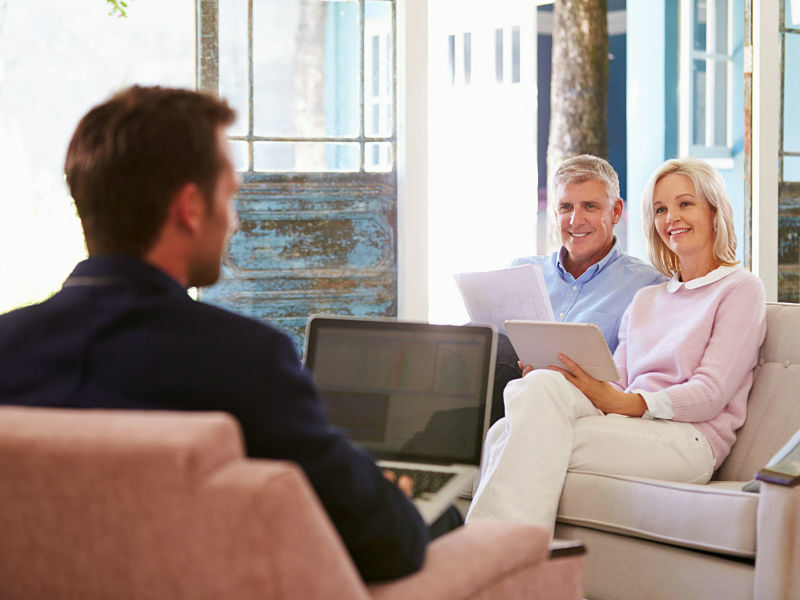 Your client should consult with a tax advisor before obtaining such a life insurance policy to ensure it fits in with his or her overall long-term financial plan.